Donate: You can make a donation to CherryArts and it will be matched dollar for dollar (up to a total of $2,500) by Janus Henderson Investors (through June). To activate the match, note “B:CIVIC/Janus Henderson Investors “ along with your name or company name in the special request line of the on-line donation form. 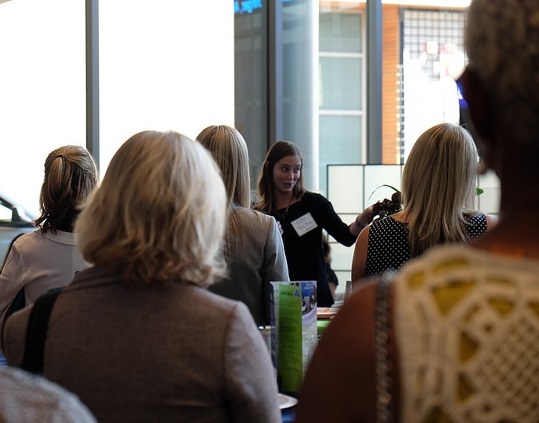 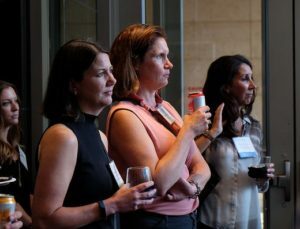 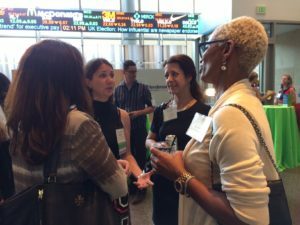 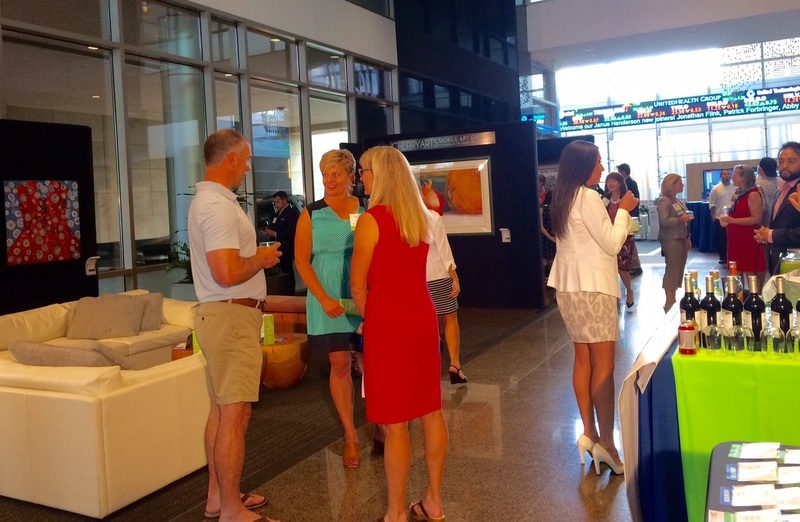 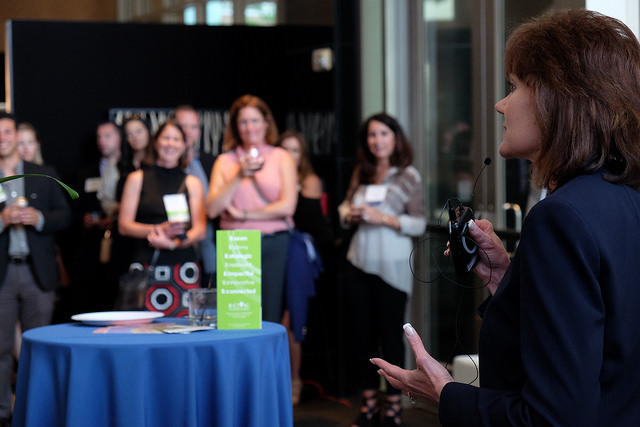 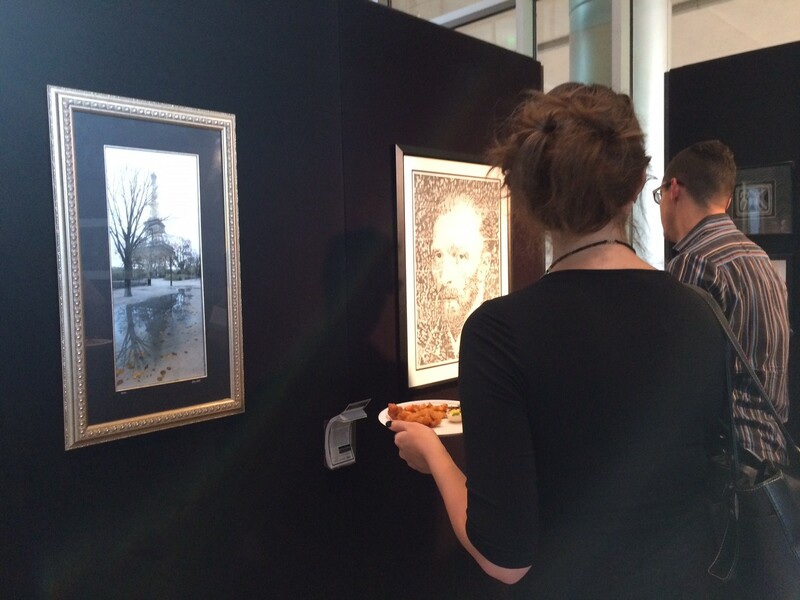 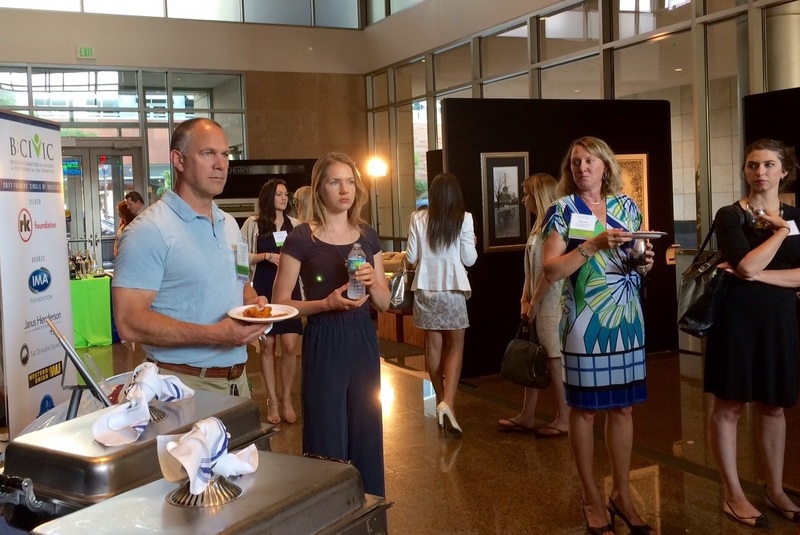 B:CIVIC member companies and special guests gathered this week in the lounge-like setting of the Janus Henderson Investors lobby to enjoy food and drinks, share CSR ideas, and view the Cherry Creek Arts Festival Mobile Arts Gallery. 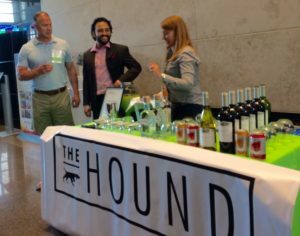 Margaritas, wine, and beer complimented the Cajun shrimp skewers, Korean chicken and more, all generously provided Little Pub’s The Hound in Cherry Creek, which has a new look, menu and chef. 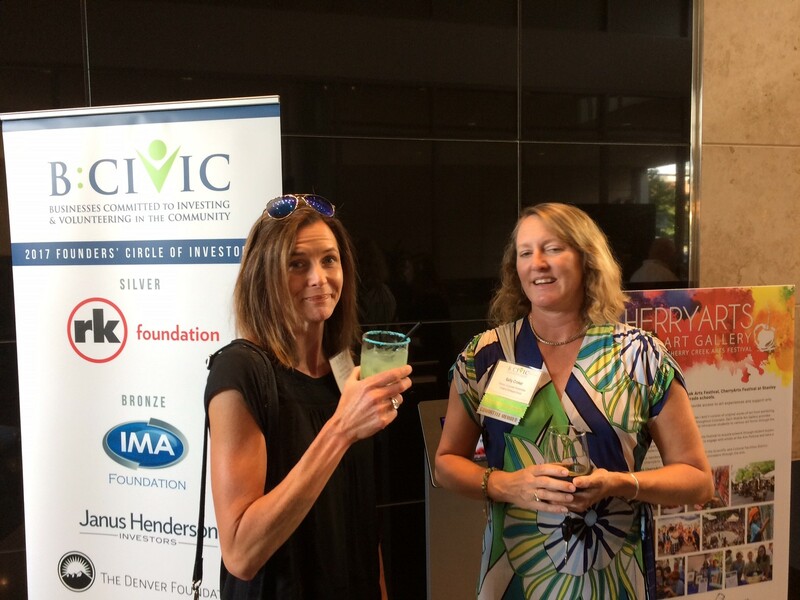 Little Pub is a founding member of B:CIVIC and owner Mark Berzins serves on the B:CIVIC board. 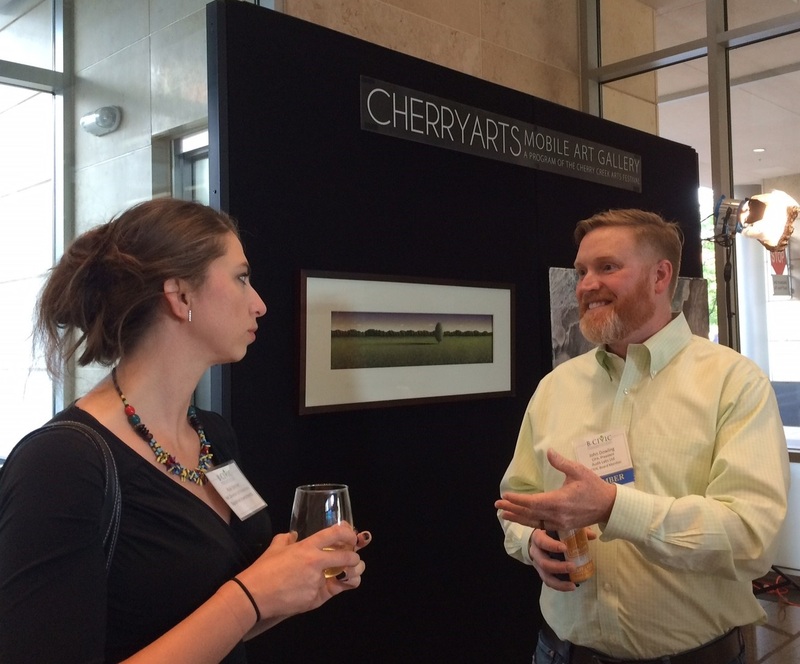 For the past 17 years, Janus Henderson Investors has underwritten the CherryArts Mobile Arts Gallery and student arts education /art buying program. 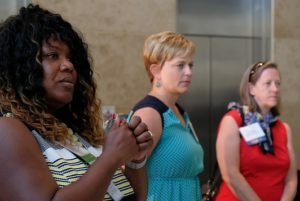 The Education Coordinator for CherryArts spoke to the B:CIVIC crowd, explaining that students interview festival artists, determine what piece they want for their school and then present their decision to an audience. 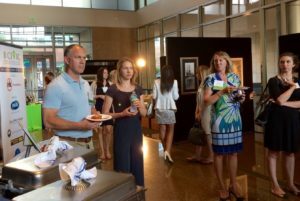 All this develops students’ skills in observation, critical thinking, teamwork, strategy and public speaking. Three schools have the opportunity to purchase art for the Mobile Art Gallery, which travels to schools, libraries and community centers throughout Colorado. 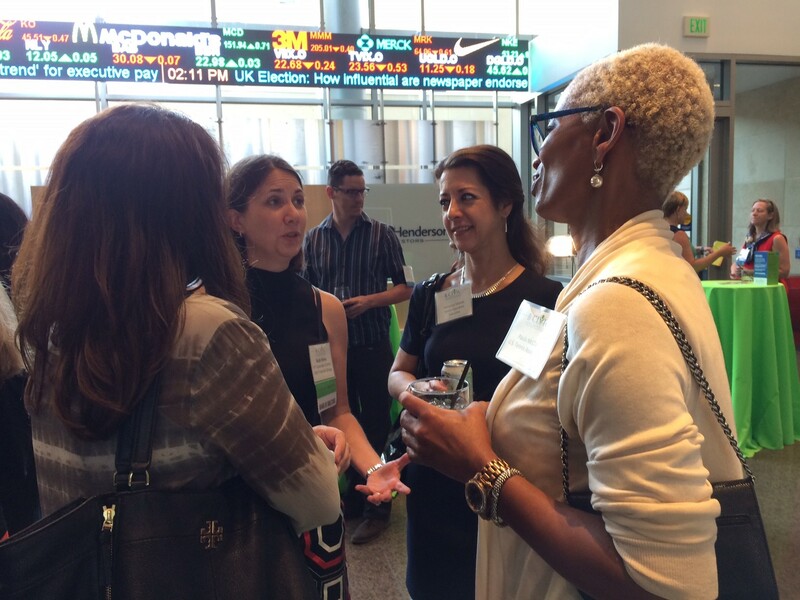 The Power of Collaboration is Fueling Social Responsibility Across Every Business!